If you don't make any other resolutions, it might be worth resolving to always engage the parking brake before getting out of your car. Newer cars with electronic transmission controls are developing a nasty habit of rolling away when least expected. Actor Anton Yelchin died last July, apparently when his Jeep Grand Cherokee rolled into him as he checked his mailbox. Various Jeep, Dodge, and Ram models have been implicated in similar incidents. Some Chevrolet and Buick models have been recalled for similar issues. In the latest development, federal safety regulators are looking into consumer complaints that say Land Rover SUVs and Jaguar XF sedans rolled away after being parked. 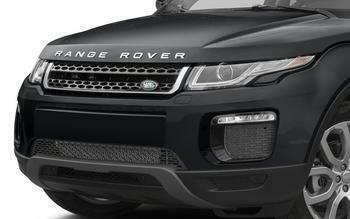 The National Highway Traffic Safety Administration says its Office of Defect Investigation has received seven reports of rollaways for model year 2012-2014 Land Rover Evoque SUVs and 2013 Jaguar XF cars. An estimated 39,000 vehicles could be affected. The agency says that four injuries occurred with the driver’s door open, and another when a person was pinned against a garage wall. The consumers said the vehicles’ transmissions had been shifted to park, but none of the cars had their parking brake engaged at the time of the incidents, NHTSA said.